SKU: N/A. Category: Men Leather Blazers. 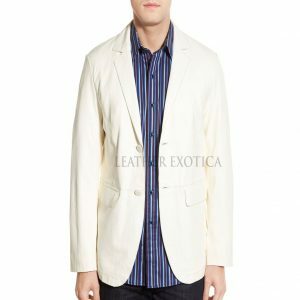 This is a classic style women leather blazer for men. 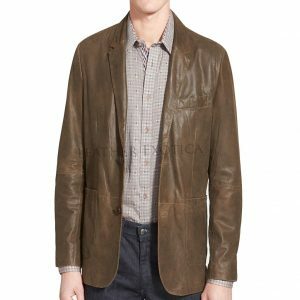 Crafted from lamb skin leather this is a distress style women leather blazer which has notch collar and three button closure. It also has nonfunctional four-button cuffs and long sleeves. 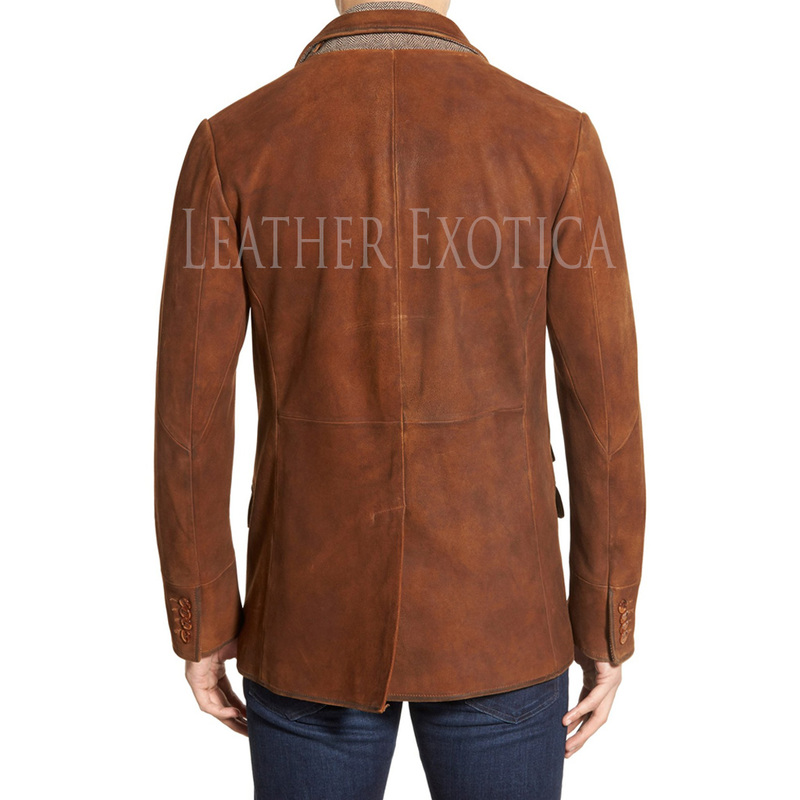 This leather blazer has Chest pocket and three front flap pockets. 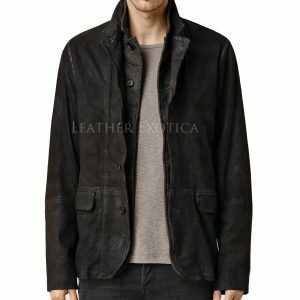 This men leather blazer has center vent and fully lined. 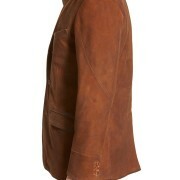 Also this cool style women leather blazer is available in several colors and all sizes. So men what are you waiting for?? 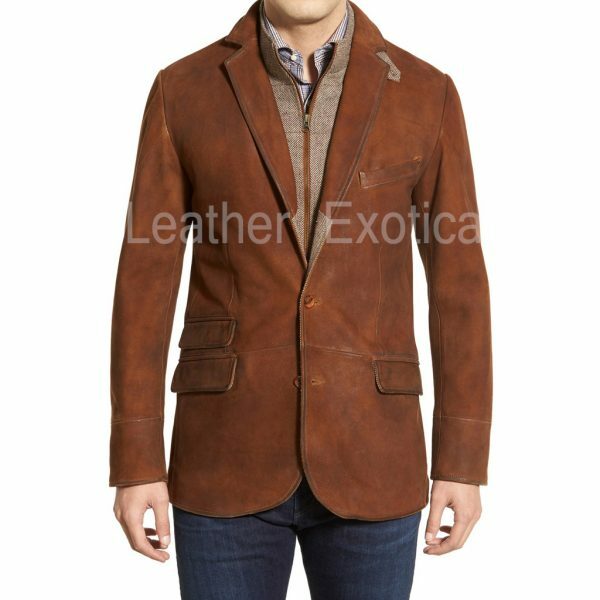 Get hold this amazing style Distressed Style Men Leather Blazer now. Excellent vendor! A+++, Very nice pants & customized. Arrived super fast! Awesome perfect fit 5 stars all the way. Thank you!! 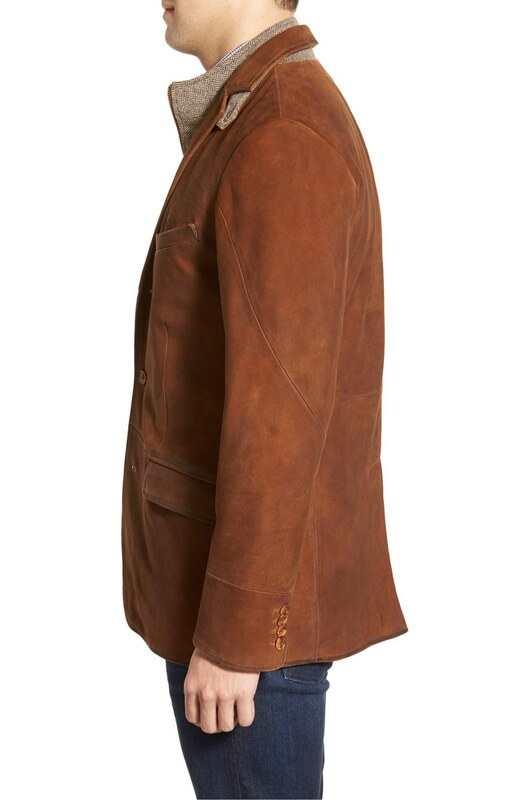 Excellent seller, highly recommended, Great tailoring and high quality leather. Fantastic !! Perfect, Beautiful craftsmanship. Thank you!! Very good pants, exceptional. I’m really satisfied, as expected, fit perfectly.Quick shipping. Measurements were on point! Thanks!!! Absolutely beautiful can’t wait to buy more.5 stars all the way absolutely fabulous. Thank you!! Omg can’t say enough about this vendor. Beautiful right on time.. Surprising gift !! Love it! Perfect. Wonderful! Great product, Thanks!!! Great seller excellent communication and good product !!! I am very impressed. The fit and workmanship is amazing. Will buy from again. A pleasure to do business with. Thanks!!! Extremely responsive + great service. Highly recommended, would purchase again. Best seller, gorgeous item, ordered more from this seller!! 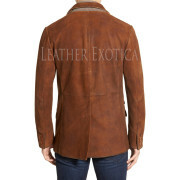 Leather Exotica provides a level of customer service that rivals Nordstrom and Neiman Marcus. Whatever the case they will make it right!